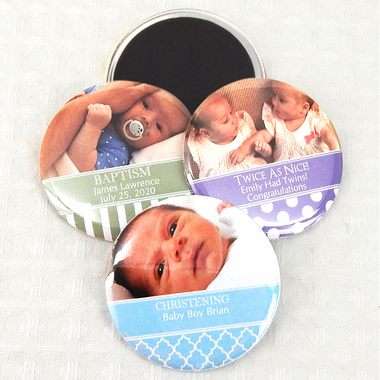 When it comes to a baptism, photo party favors are always a hit, especially these fun glossy clear magnets or mirrors. 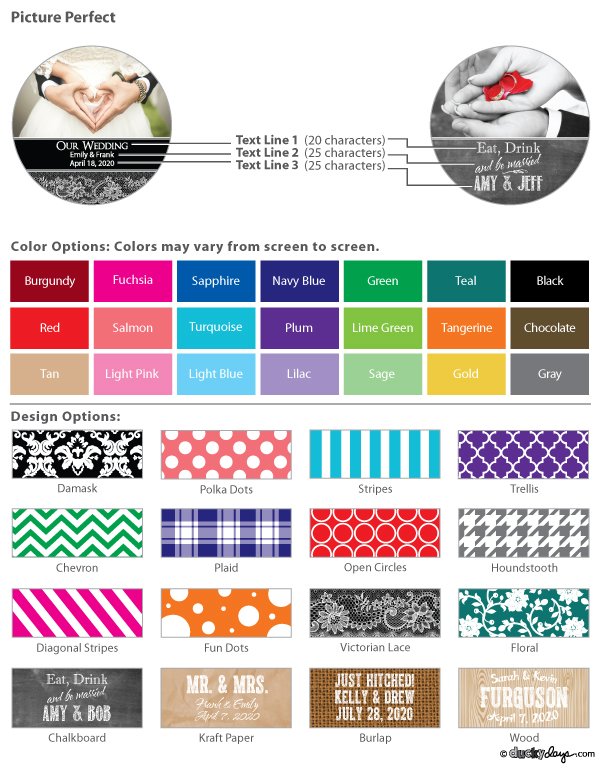 Personalize them with three lines. These would also be great birth announcements or supplements to an invitation. Files must be 25 MB or smaller at 300dpi. However, email us your photo and we will let you know if it will work - your photo MUST have a horizontal orientation, vertical orientation photos will not work if they do not have sufficient area on all sides of the photo subject to fit properly. Please do not crop your photos too close to the subject as we need area all around the subject in the photo to make it fit into the image area on our end. We do not custom crop backgrounds, people or other images out of your photos. They are produced with your photo AS IS. 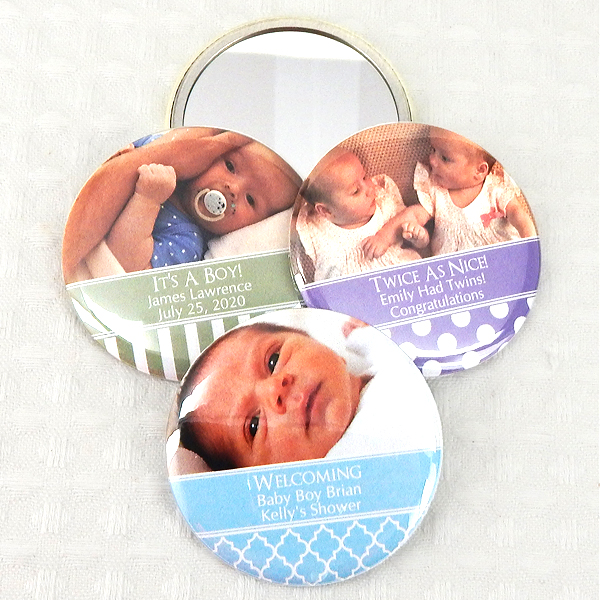 Your cutie pie will then appear on these lovely 2.25 inch magnets or mirrors. 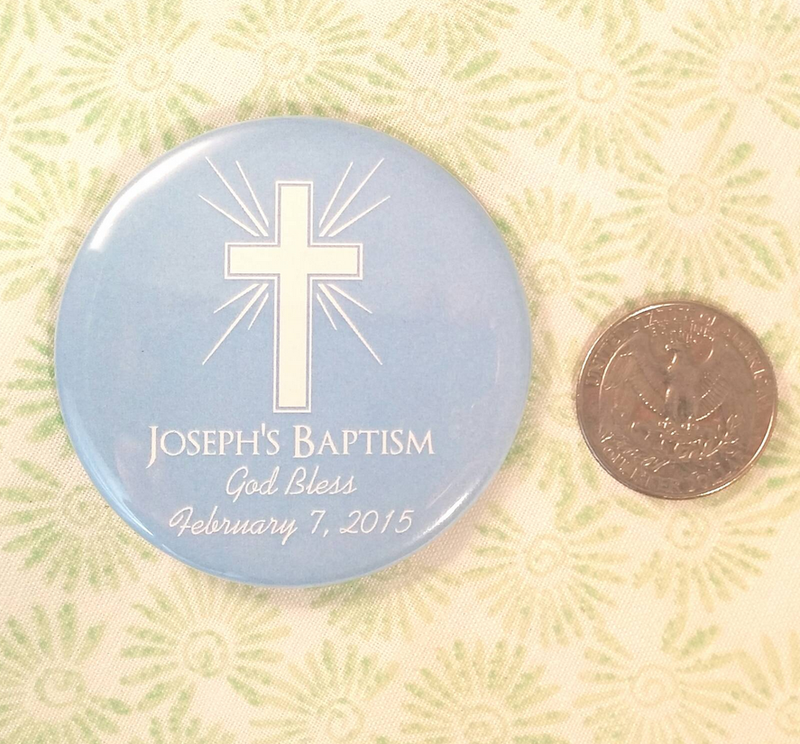 I ordered the photo magnet as a party favor for the baptism of my daughter and I'm very much happy with my purchased just as what I expected. It's super cute and nice my guest love it.